Call us at 1-347-638-3020. We repair every Copier, Computer, Fax & Printer. We offer onsite repair service in Manhattan (NYC), Queens, Brooklyn, Bronx, Staten Island & Long Island (Nassau & Suffolk County) NY. All Makes & Models Brother, Canon, Dell, Epson, HP, Konica, Kyocera, Lanier, Lexmark, Okidata, Ricoh, Samsung, Sharp, Toshiba & Xerox. We carry Toner Supplies for all manufactures. Orders over $100 are delivered the next business day at no charge. Contact us if you are in the market for Office Equipment, Supplies & Service. We are the prime source for all of your Digital Copier, Computer, Scanner, Fax & Printer needs. Whether you need a machine to Scan, Scan to Email, Fax, Copy or Print, our technical specialists will walk you through the entire process. We Deliver & Install each machine at No Charge with Free Training. ABS is dedicated to providing the very best service & technical support to our customers. 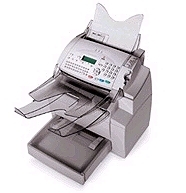 Contact us if your current machine is not working, our certified technicians repair every Copier, Computer, Scanner, Fax & Printer on the market. If it is supplies you need, we carry every toner under the sun. ABS offers toner supplies for every manufacture and our large supply of inventory allows our customers to make us a one-stop shop. We also offer financing, competitive lease programs and we accept all major credit cards. All of our office equipment, toner supplies and repair service are backed with our 100% Customer Satisfaction Guarantee. Call us at 1-347-638-3020. Areas in Manhattan (NYC) we offer repair service - Upper East Side NYC, Lenox Hill, Silk Stocking District, Carnegie Hill, Yorkville, Upper West Side NYC, Manhattan Valley, Bloomingdale District, Lincoln Square, Midtown Manhattan NYC, Colubus Circle, Rockefeller Center, Radio City, Diamond District, Theater District, Turtle Bay, Midtown East NYC, Midtown NYC, Tudor City, Little Brazil, Times Square, Midtown West NYC, Hell's Kitchen, Garment District, Herald Square, Koreatown, Murry Hill, Madison Square, Flower District, Brookdale, Kips Bay, Rose Hill, NoMad, Chelsea, Toy District, Photo District, Gramercy Park, Stuyvesant Square, Union Square, Meatpacking District, Waterside Plaza, Downtown Manhattan, Little Germany, Alphabet City, East Village, The Village, Bowery, West Village, Lower East Side, SoHo, Nolita, Little Italy, Chinatown, Lower Manhattan, Five Points, Two Bridges, Tribeca, Civic Center, Radio Row, Battery Park City, NYC. New York Printer Repair offers Copier Repair Service in Manhattan, Copier Repair Service New York City, Copier Repair Service NYC, Copier Repair Service New York, Copier Repair Service Brooklyn, Copier Repair Service Queens, Copier Repair Service Bronx, Copier repair Service Long Island, Printer Repair Service Manhattan, Printer Repair Service New York City, Printer Repair Service NYC, Printer Repair Service New York, Printer Repair Service Brooklyn, Printer Repair Service Queens, Printer Repair Service Bronx, Printer Repair Service Staten Island, Printer Repair Service Long Island, Fax Repair Service Manhattan, Fax Repair Service New York City, Fax Repair Service NYC, Fax Repair Service New York, Fax Repair Service Brooklyn, Fax Repair Service Queens, Fax Repair Service Bronx, New York, NY. Areas in Queens New York we offer repair service - Astoria, Bayside, Bellerose, Cambria Heights, College Point, Corona, Elmhurst, East Elmhurst, Floral Park, Flushing, Forest Hills, Fresh Meadows, Glen Oaks, Hollis, Howard Beach, Jackson Heights, Jamaica, Kew Gardens, Little Neck, Long Island City, Maspeth, Middle Village, Oakland Gardens, Ozone Park, Queens Village, Rego Park, Richmond Hill, Ridgewood, Rosedale, Saint Albans, South Richmond Hill, Springfield Gardens, Sunnyside, Whitestone, Woodhaven & Woodside, New York. We repair every Copier, Computer, Scanner, Fax, Printer & Plotter on the market. We offer On-Site Repair Service in Manhattan (NYC), Queens, Brooklyn, Bronx, Staten Island & Long Island (Nassau & Suffolk County) New York. We repair All Makes & Models Brother, Canon, Epson, Gestetner, HP, IBM, Konica, Kyocera, Lanier, Lexmark, Minolta, Muratec, NEC, Okidata, Panasonic, QMS, Ricoh, Savin, Sharp, Toshiba & Xerox. Contact us today for details at 1-347-638-3020. Areas in Brooklyn New York we offer repair service - Bath Beach, Bay Ridge, Bedford Stuyvesant, Bensonhurst, Bergen Beach, Borough Park, Brownsville, Bushwick, Canarsie, Carroll Gardens, Clinton Hill, Cobble Hill, Crown Heights, Cypress Hills, Dyker Heights, East Flatbush, East New York, Flatbush, Flatlands, Fort Green, Fort Hamilton, Gravesend, Greenpoint, Lefferts Gardens, Marine Park, Midwood, Mill Basin, Brooklyn Navy Yard, Prospect Park, Prospect Park South, Red Hook, Sheepshead Bay, Sunset Park & Williamsburg, New York. Areas in Bronx New York we offer repair service - Allerton, Arthur Avenue, Baychester, Bedford Park, Belmont, Bronx Manor, Castle Hill, City Island, Clason Point, Co-op City, Concourse Village, Country Club, Crotona Park East, Eastchester, East Morrisania, East Tremont, Edgewater Park, Fieldston, Fordham, Harding Park, Highbridge, Hudson Hill, Hunts Point, Jerome Park, Kingsbridge, Kingbridge Heights, Locust Point, Longwood, Marble Hill, Melrose, Morris Heights, Morris Park, Morrisania, Mosholu, Mott Haven, North Riverdale, Norwood, Olinville, Parkchester, Pelham Bay, Pelham Gardens, Pelham Parkway, Port Morris, Riverdale, Schuylerville, Soundview, Spuyten Duyvil, Tremont, University Heights, Van Cortlandt Village, Van Nest, Wakefield, West Farms, Westchester Square, Williamsbridge & Woodlawn, NY. We offer the following repair services Brother Copier Repair - Brother Fax Repair - Brother Printer Repair - Canon Copier Repair - Canon Fax Repair - Canon Printer Repair - Canon Plotter Repair - Dell Printer Repair - Epson Copier Repair - Epson Fax Repair - Epson Printer Repair - Epson Plotter Repair - Gestetner Copier Repair - Gestetner Printer Repair - HP Copier Repair - HP Printer Repair - HP Plotter Repair - Konica Copier Repair - Konica Printer Repair - Kyocera Copier Repair - Kyocera Printer Repair - Lexmark Printer Repair - Okidata Copier Repair - Okidata Fax Repair - Okidata Printer Repair - Ricoh Copier Repair - Ricoh Fax Repair - Ricoh Printer Repair - Ricoh Plotter Repair - Samsung Copier Repair - Samsung Printer Repair - Sharp Copier Repair - Sharp Fax Repair - Sharp Printer Repair - Toshiba Copier Repair - Toshiba Printer Repair - Xerox Copier Repair - Xerox Fax Repair - Xerox Printer Repair - Xerox Plotter Repair. Areas in Nassau County NY we offer repair service - Albertson, Baldwin, Bayville, Bellmore, Bethpage, Carle Place, East Hills, East Meadow, East Williston, Elmont, Farmingdale, Floral Park, Franklin Square, Freeport, Garden City, Garden City Park, Glen Cove, Glen Head, Great Neck, Hempstead, Hewlett, Hicksville, Inwood, Island Park, Jericho, Kings Point, Lake Success, Laurel Hollow, Lawrence, Levittown, Locust Valley, Long Beach, Lynbrook, Malverne, Manhasset, Massapequa, Massapequa Park, Merrick, Mineola, New Hyde Park, Oceanside, Old Brookville, Oyster Bay, Plainview, Plandome, Port Washington, Rockville Centre, Roosevelt, Roslyn, Sea Cliff, Seaford, Stewart Manor, Syosset, Uniondale, Upper Brookville, Valley Stream, Wantagh, West Hempstead, Westbury, Williston Park, Woodbury & Woodmere, NY.